A high level of online presence is essential for savvy suppliers who understand the way schools source products and services. When asked about their preferred medium for sourcing suppliers 78 per cent of schools said they prefer to search the internet. A professional looking website is crucial as is a mobile responsive design as many heads and school business managers will be searching suppliers on the go on phones and tablets both in and out of school. Just 5 per cent of schools welcome direct sales calls suggesting that suppliers should consider its value as a means of selling to schools. A higher percentage (30 per cent) may consider other forms of direct marketing over the next 12 months such as brochures, printed directories and letters, however it is certainly worth comparing the cost of this type of marketing with digital marketing in relation to its return on investment. 76% of schools prefer to search for suppliers when it suits them rather than being sold to. Suppliers are encouraged to ensure they can be found at the point when schools are searching for their products and services. Schools use the National Register of Education Suppliers to find, check and compare suppliers and it's essential for companies targeting the education sector to have a compelling profile that provides rich, objective information about their business on this recognised platform for school procurement. Use the Incensu Registration Mark to show schools you can be found on the National Register of Education Suppliers. With such pressures on school budgets suppliers are being urged to 'step up' and help schools embrace collaborative purchasing. Kevan Walsh, managing director of school energy broker Zenergi, understands says "it is vital that suppliers make it as easy as possible for schools to collaborate on the buying of high quality, good value goods and services. This approach will help school budgets go further and makes sound business sense, giving school suppliers access to a bigger customer base.” Suppliers are encouraged to use their Incensu profile to outline to schools how they can support them with collaborative purchasing through their business. Almost 80 per cent of schools now compare service costs and quality of suppliers as an in-house exercise. More information is now available on suppliers via sites such as Incensu and approved supplier lists such as ISBL Approved Partners helping schools increase their confidence in school procurement decisions. Suppliers are missing a trick if they fail to promote their industry accreditations and other compelling information about their business to schools. The National Register of Education Suppliers has a specific section to display accreditations, a feature schools are finding very useful. Over the past 12 months over 70 per cent of schools have used word of mouth as a key way of sourcing suppliers. What others say about your business is far more powerful that what you say about yourself. Suppliers are urged to collect testimonials from previous customers and share them in the dedicated section on the National Register of Education Suppliers. The Incensu platform also facilitates ratings and reviews from schools giving suppliers a quick and easy way to drive business through word of mouth and springboard onto work with other education organisations. A range of associations and local authorities have their own approved supplier lists which many schools refer to when sourcing suppliers. Despite the increase in academies and the autonomy this brings in terms of spending 70 per cent of schools will still consider using approved local authority lists to source some of their suppliers over the coming year. Using Twitter, Facebook, LinkedIn and Google+ is an effective way to engage with schools and education groups. The following groups, hashtags and communities are a good place to start: Twitter's #ukedchat, #uksbmchat, #sltchat, @middleleaders, @incensu - LinkedIn's school procurement, headteachers, school business managers and Google+'s UK Education, UK school procurement and UK school finance. It's well worth remembering however that these networks provide an opportunity to open up the conversation with schools and build relationships rather that give them the latest sales patter. With 64 per cent of schools doing a general internet search for some of their suppliers last year it is easy to see how important your position in search engine results are in getting business from schools. Other than investment in search engine optimisation a quick way to ensure you are found when schools are searching is to run a pay per click campaign - and let's remember that 78 per cent of survey respondents prefer to search the internet for suppliers. There are an increasing number of education trade shows and exhibitions throughout the year and in different parts of the country. The key ones to look out for are The Education Show, The Academies Show, The Nursery and Primary Show and The Higher and Further Education Show. Trade shows are an effective way of developing face to face relationships with schools bearing in mind 37 per cent of schools said they would consider trade shows as one way of sourcing suppliers this year. Be clear on the people in schools you need to target as this will be different according to your particular business. Do you need to target the overall financial decision makers such as headteachers or school business managers or are you targeting the influencers such as heads of department? You may need to identify the phase you are concentrating on such as key stage 4, early years or higher education or perhaps a subject area such as science, technology or the arts. Once you have identified your target more specifically you can be more focused with your marketing. Re-think your message for this academic year. It needs to take into account any changes to the education system this year or any developments in your industry. Consider whether your message is compelling for schools. Ensure your message conveys how you can bring value to a school giving a school reason to buy from your business over your competitors. The reputation of your brand should be your most prized asset so be good at what you do. Encourage reviews on your Incensu profile – It’s what schools look at before spending. 99 per cent of schools are willing to recommend, rate and review suppliers for their work with their school in order to help other schools in their procurement decisions. Make the most of every opportunity to build your reputation within the education sector and in your locality. Education suppliers need to know their competition both within their industry and geographically. 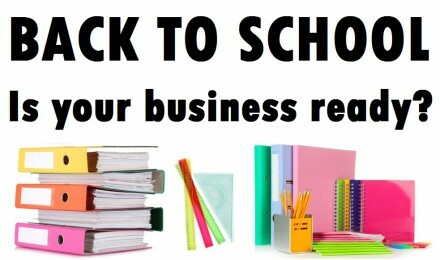 Search the Incensu register to see who else sells your products or services to schools. Follow your competitors on social media and view their websites. Use search engines to find similar companies. All this should help you establish how you compare and give you ideas on how to raise your game. A key part of any business relationship is managing expectations and advising the client where you feel a project could hit problems, or it could be improved; this is no different when working in education. If you feel a project has unrealistic deadlines, budget or isn’t an effective solution, communicate this. Many public sector contracts go overdue and over-budget for the simple reason that communication wasn’t as good as it should’ve been. It’s also important at early stages to identify and communicate issues like these, because if the project does run into difficulty there will naturally be an investigation into the cause. Take it as a given that schools are paying you for your expert and specialist knowledge and expect you to provide advice that would avoid any issues. Schools are, unless you’re working with independents - public sector organisations and as such are process-driven and have themes of accountability and structure. They’ll expect clear timescales, expectations and specifications and they’ll expect regular updates, possibly in a standardised form. Don’t take this requirement for information, meetings and action points as anything other than necessary. The decision maker you will be working with will have expectations on them from their management and they’ll be accountable for the project. Feeding them relevant, succinct information will greatly help their job and in turn improve your relationship with them. Public sector clients can feel demanding when compared to their private sector colleagues, but once you have a system of providing them information and know what to provide each time, life will become much easier. Whatever you’re doing, remember the user. Education organisations have a number of different audiences and users, each with varied demographics, expectations and wants. Understanding these and how they’re segmented is key to delivering a great end-user experience. It's essential to see past a school as just an organisation but instead focus on building relationships with the individuals who are making the financial decisions within each school. Start out every year by prioritising your marketing mix as follows: 1. Exhibiting to schools, 2. Online advertising 3. Content production 4. Direct marketing. Start with a plan of how you will exhibit to schools - an online profile on the National Register of Education Suppliers at incensu.co.uk is the most cost effective way to exhibit to schools 24/7 ensuring your are found when schools are searching, then consider if your budget allows for attendance at education trade shows and if so decide which to attend. Follow this with a clear strategy for online advertising via social media and Google adwords - set the budget and plan your campaigns carefully. Next allocate an investment of time and money on the creation of compelling content, employing a copywriter or PR consultant is well worth investigating if you do not already have one in-house. Finally, if budget allows, identify whether direct marketing will work for your business - test the return on investment from a range of options. Companies with larger budgets may wish to consider print advertising in some of the key national education publications for headteachers and school business managers such as Education Executive, School Business Manager Magazine, Just4SBMs, Academy Magazine or QA. The tender process can be a real stumbling block for many companies, but there’s no need for it to be a difficult stage. This part of the process is a necessary stage in working with a new supplier and requires everything you’d expect when forming a new relationship. Essentially schools are looking for security, professionalism and reassurance here. Naturally you need to be capable and cost-effective for the task at hand, but it’s important to convey your experience, references and testimonials, your processes and how you manage critical things such as risk, quality and project management. Include relevant documentation (including insurance certificates) to ensure all bases are covered - most tender documents will ask for these as a matter of course. Answer the questions and don’t over-complicate. Decision makers will want to know you’re trusted, recommended and capable. In many cases your field of expertise is not going to be the expertise of your target audience. Schools will be looking to you as their supplier to provide them with reliable knowledge of your industry. Setting yourself up as an expert in your area is crucial to building the trust a school is looking for. Content marketing is essential here and in the current climate widely considered as one of the most effective ways of marketing not only in the education sector. Provide good quality content by sharing your expertise in your field and provide information which will encourage schools to find out more. Offer free resources to initially engage more customers and then develop your relationship with these customers. Need more advice? Get in touch via our contact us page.